The Rattehalli Rare Materials Plant (RMP) is one of two uranium enrichment facilities in India; the other is located at the Bhabha Atomic Research Center's (BARC) Trombay complex. Construction of the pilot-scale gas centrifuge enrichment facility at Rattehalli (near Mysore, Karnataka) began in the late 1980s, took four years to complete, and began operating sometime in 1990. The plant is operated by Indian Rare Earths Limited (IREL), which is a subsidiary of the Department of Atomic Energy (DAE). The DAE confirmed the existence of the plant in 1992. The plant operates several hundred domestically produced sub-critical centrifuge rotor assemblies. The Uranium Corporation of India Ltd (UCIL) delivers processed yellowcake to the plant, where it is converted to uranium hexafluoride, which is then processed through a gas centrifuge to produce enriched uranium. The byproduct of the process, depleted uranium, is then transported back to UCIL for disposal in the mines of the Bihar district. The output of the Rattehalli Plant is estimated at fewer that three separative work units per machine per year, making the plant capable of yielding several kilograms of highly enriched uranium (HEU) per year. In 1997, Nuclear Fuel reported that the DAE was preparing to build and install new improved rotor assemblies at the plant due to unspecified operational difficulties (these new rotor assemblies may have been based on experimental work at BARC that centered on supercritical centrifuges). 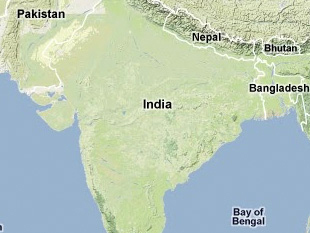 Indian officials have claimed that the facility has been earmarked to provide 30-45 percent enriched uranium for reactors aboard future Indian nuclear submarines. Mark Hibbs, "India and Pakistan fail to include new SWU plants on exchanged lists," Nuclear Fuel, 30 March 1992, pp. 6-7. Mark Hibbs, "India to equip centrifuge plant with improved rotor assemblies," Nuclear Fuel, Vol. 22, No. 24, 1 December 1997, pp. 7-8. "Rare Materials Plant," GlobalSecurity.org, 11 November 2002. Vijendra Rao, P.M., "Leaks reported in steel barrels containing uranium," Deccan Herald (Bangalore), 14 March 1997; In FBIS Document FTS19970530002443.